As Watanbe unravels Sugiyama's final months, he begins to discover what is really going on inside this dark and violent institution, which few inmates survive: a man who will stop at nothing to dig his way to freedom; a governor whose greed knows no bounds; a little girl whose kite finds an unlikely friend. And Yun Dong-ju--the poet whose works hold such beauty the can break the hardest of hearts. As the war moves towards its devastating close and bombs rain down upon the prison, Watanbe realizes that he must find a way to protect Yun Dong-ju, no matter what it takes. As he digs further and further in to his investigation, the young guard discovers a devastating truth. 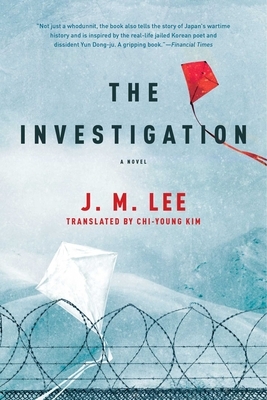 At once a captivating mystery and an epic lament for lost freedom and humanity, The Investigation, inspired by a true story, is a sweeping and gripping tale by an international literary star.